Packaged solid-state relays use power semiconductor devices such as thyristors and transistors, to switch currents up to around a hundred amperes. Solid-state relays have fast switching speeds compared with electromechanical relays, and have no physical contacts to wear out. 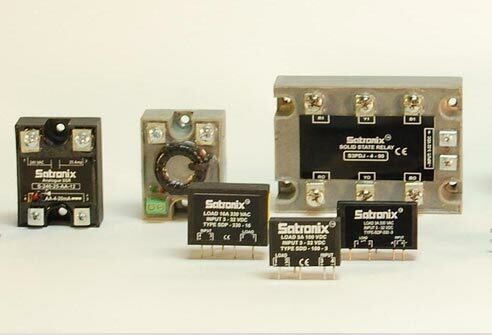 Application of solid-state relays must consider their lower ability to withstand momentary overload, compared with electromechanical contacts, and their higher "on" state resistance. Unlike an electromechanical relay, a solid-state relay provides only limited switching arrangements (SPST switching). Solid State Relay by Application: DC Panel mount Solid State Relay put DC-DC Solid State Relay Photo SDD-1000-25 or SDD-100-10 and also for Power Control Modules Solid State relay...Change the title to Power Control Modules and change the photo to that of Power Regulator.